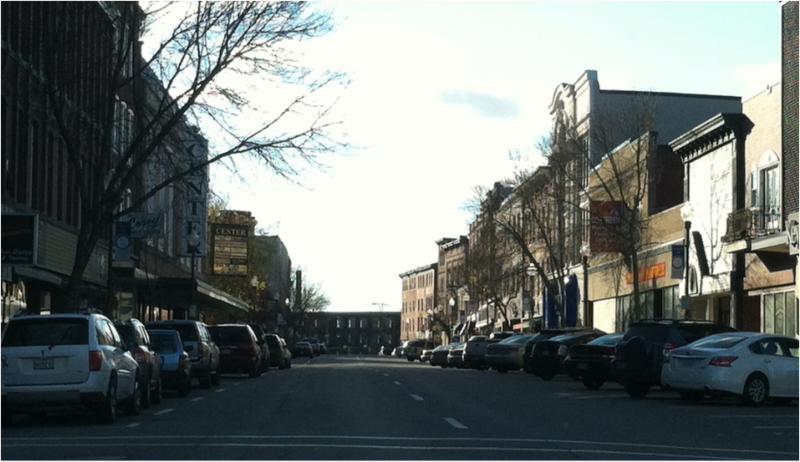 Downtown, North Street, and Colby College. One can live for years in the Waterville area and still be discovering new things to do and see that weren’t immediately obvious. Even the locals are often surprised to hear of something amazing they didn’t know was right under their nose for so long. Let this quick primer serve as your beginning guide to the most interesting things to do and see in the Elm City. Please follow the links for more detail than this article can provide. Waterville’s unique charms are not obvious from either of its two I-95 exits. They’re downright hidden. The traveler is greeted by fairly generic offerings - hotels and national chain restaurants with a heavy dose of fast-food. The lobbies of the hotels have little to no literature on local attractions. Sometimes you can get some information by asking at the desk. To experience the best Waterville has to offer, there are a couple of areas to focus on. Waterville’s historic downtown, loaded with unique shops and restaurants selling Maine products and creative cuisine is about 1.5 miles down Main Street from Exit 130. If you get off I-95 at Exit 127, it’s 3.8 miles east on Kennedy Memorial Drive and north on Silver Street before you come to the heart of Waterville. This article will focus on the Exit 130 approach. At Exit 130, you first arrive on Upper Main Street and in an area of big box retailers, hotels, and chain and fast food restaurants. Gasoline and groceries are available here, with a Hannaford Supermarket just a short distance down Main Street. This is a great place for travelers who can’t stay to fuel up and stock up before hitting the road again. But if you like to explore, or are wise enough to make the Waterville area your destination for a day or two, there are many rewards. Those spending time at camps on any of the popular Belgrade Lakes will find Waterville rich in cultural events and shopping to break up the “monotony” of heart-stoppingly beautiful lakes and woods. Additionally, Waterville offers many interesting diversions and shopping options for those visiting students at Colby College or Thomas College. Following Main Street southeast, you climb a small hill crowned with a McDonald’s, and then begin the gentle descent into the Kennebec River valley. Ahead about one mile are the historic buildings and charming Main Street of Waterville. But first, at the traffic light at Eustis Parkway, go west to discover many outdoor pleasures. It leads to a T-intersection at North Street. Arranged along North Street are a surprising array of outdoor activity options right in the middle of town. Directly across from Eustis Parkway are the North Street Soccer Fields and the entire sprawling North Street Recreation Area. In winter, there is erected an outdoor skating rink. To the southeast you come to the beautiful North Street playground, where locals bring their children to burn off some youthful energy on the playground’s enormous layout of climbing bars, swings, and slides. There are also tennis courts and a large ramada with picnic tables. Next down the road is a basketball court, followed by the amazing Alfond Municipal Pool Complex. There are kiddie pools for various ages, water slides, water spray features, locker rooms, changing rooms, showers, and picnic tables, as well as a large pool for adults and teenagers. This pool is outdoors and open seasonally as the weather permits. Next south of the pools is the Alfond Youth Center, a combined Boys & Girls Club and YMCA, it is an incredible facility housing an enormous indoor gym, indoor swimming pools, and numerous rooms used for karate classes, after-school programs, and many other purposes. It is a gathering place for the whole community. Across the street, in season, is the North Street Dairy Cone, serving up some of the freshest and most delicious locally produced ice cream available. Be sure to try a Hungry Jack. If you turn northwest instead of south at Eustis Parkway, you will immediately see a small community garden on your left, followed by parking for the North Street boat launch, which allows people with small boats, canoes, and kayaks to put into Messalonskee Stream. The stream is a placid, gorgeous impoundment behind a small dam that affords the opportunity to enter immediately into seeming Maine wilderness, with many kinds of birds and occasionally snapping turtles and other wildlife viewable, even as you pass under the high overpasses of I-95 and paddle further upstream through beautiful woods and then open fields. It’s a perfect spot for a quick paddle, and evening is the most dramatic time of day on the stream. Accessible from the boat launch is also the paved, handicap-accessible North Street Trail. It runs along the Messalonskee Stream between the soccer fields and the stream, and is useable by walkers, runners, bikers, and wheelchairs alike. The North Street Trail is part of an extensive network of multi-use trails throughout Waterville and the surrounding communities of Winslow, Oakland, Fairfield, and Benton. Over 18 miles of trails exist, all coordinated by Kennebec Messalonskee Trails, an organization devoted to developing, connecting, and maintaining this trails network. Complete maps and descriptions of the trails, which range from easy urban strolls to challenging woodsy hikes, are available on their website. Across the street from the boat launch, Quarry Road leads north to the Quarry Road Recreation Area. The Area affords scenic walking trails and, in winter, snowshoeing, sledding and cross-country skiing on the professionally designed ski trails, complete with artificial snowmaking should Mother Nature prove uncooperative. Once a ski slope with tow rope in the 1960s and 1970s, the Quarry Road Rec Area has recently been revitalized and quickly become the centerpoint of winter activities in the region. Continuing northwest on North Street leads over a short bridge across the Messalonskee Stream, under a railroad overpass, and then into the beautiful campus of Colby College. There’s always something going on at Colby, from sports, to dance, theater, music, and lectures, all open to the public. Colby’s Music Department offers regular free programming of classical and jazz music of diverse styles and influences, often featuring prominent guest artists, but always anchored by Colby’s own expert music faculty. The Music Department’s performance schedule is on hiatus during the summer. But while they take a break, the Atlantic Music Festival occurs on the Colby campus in late July and early August. World-class classical musicians gather to perform with and learn from each other, offering 30 or more free concerts of everything from piano, chamber, and symphonic music to opera recitals in the span of four weeks. Their Salon Series is particularly engaging, sometimes beginning at 9 PM and running as late (or early?) as 2 AM. Also, on campus is the world-class Colby College Museum of Art, which has recently undergone a dramatic expansion that makes it the largest art museum in Maine. The purpose of that expansion was to provide a home for a remarkable gift of art from the Lunder family. The museum will reopen to the public on July 13, 2013, and will be a must-see destination for art enthusiasts, as well as an invaluable resource to the local community. Colby’s large campus also contains many more public walking trails, which double as cross-country ski trails in winter. These trails lead through fields and woods surrounding Colby high up on Mayflower Hill, with breathtaking views of the surrounding Kennebec Valley. Many meander through the Colby College Perkins Arboretum. During winter, several of the hills on the campus are popular amongst area families for sledding and tubing. Now let’s return our survey to the Main Street/Eustis Parkway intersection and continue southeast on Main Street. After passing through a residential area of large houses, some converted into multi-unit housing, and passing a dry-cleaner and one of Maine’s ubiquitous tattoo parlors, you come to the railroad tracks. Just before the tracks, to the west on Sanger Avenue, is visible Are You Ready To Party? It is a party supply and rental store with anything and everything you could need for just about any kind of celebration, from graduations, to birthdays, to weddings, and Halloween parties. They even rent large tent pavilions, chairs, bounce houses and dunk tanks. Crossing over the tracks, immediately to the east is Railroad Square. The small plaza is a bonanza of good things, including a Mexican restaurant (Buen Apetito), a wood-fired pizza parlor (Grand Central Cafe), a quilt shop, and separate violin and guitar maker shops. Stained Glass Express offers a wide range of glass sculptures, lamps, and window ornaments that make great gifts. If you’re visiting long-term, you may want to take one of their stained glass classes. The most significant feature of Railroad Square is the presence of the 3-screen arthouse/independent film Railroad Square Cinema. It was recently purchased by the Maine Film Center, which hosts the annual Maine International Film Festival now in its 15th year. The Film Festival occurs in July. All this makes Railroad Square a perfect place to come in from the lake or pond for a relaxed dinner and an interesting movie. Continuing southeast, Waterville’s historic buildings, most built from 1835-1938, come into view. Going straight at the five-point intersection, Main Street becomes a two-lane one-way street. In the basement of the old post office, a round building of gray granite on the west, is Mainely Brews, a brew-pub with a delicious menu including outstanding fish and chips and live music entertainment many nights per week. Next, on the east is the charming Selah Tea Cafe, with the widest assortment of teas in the region, as well as coffee, delicious pastries, and gourmet sandwiches and salads. The Downtown is best seen on foot. Main Street is lined with parking on both sides of the street. There is a two-hour limit on most spaces on weekdays. For longer parking, there is a free public lot on the west side of Main Street between Appleton and Temple Street. For even more parking, head west on Temple/E. Concourse to enter a gigantic parking area that serves all of downtown. This is locally known as “The Concourse”. Parking here and walking back to Main Street is your best bet for half-day to full-day parking. Many of Main Street’s stores also have a back entrance on The Concourse. Perusing online maps like Google Maps is a wise preview to understand the traffic flow in Waterville. It is as unique as many of the shops. To get back to Exit 130, one must catch Spring Street from the south end of Main Street or the south side of The Concourse, head west to Elm, and then northeast back to Main Street, where you can go northwest back onto the two-way portion of Main Street and to Exit 130. Running down Main Street north to south are all manner of unique shopping opportunities, including women’s clothing and jewelry at Earth Bound and Sign Of The Sun (nearby on Silver Street), the Waterville Farmers’ Market (on Thursdays), local foods, pottery, woodwork, soaps, candles, and more at Barrels Community Market; the ultimate Maine/New England gift shop at Maine Made & More; books at Re-Books and Children’s Book Cellar; framed artwork at The Framemakers; and small decorative home goods and jewelry at The Paragon Shop. Also clustered within a diamond’s throw of each other, at the intersection of Main Street and Common Street, are three jewelers - Day’s Jewelers, L. Tardif Jeweler, and Larsen’s Jewelry. Once you work up an appetite strolling Main Street and shopping, there is an astonishing variety of great restaurants inhabiting the downtown. A quick list includes the aforementioned Mainely Brews and Selah Tea, as well as Jin Yuan (Chinese - just around the corner on Temple Street), Amici’s Cucina (Italian), Thai Bistro, Waterville House of Pizza, Holy Cannoli (Italian Bakery), Jorgensen’s Cafe, Silver Street Tavern, The Last Unicorn, Cancun Mexican Restaurant, 18 Below, and The Blessed Life Bakery. And don’t forget a cold, refreshing, creamy drink at Downtown Smoothie. Surveying the area with an eye towards entertainment, one must note The Waterville Opera House and Aqua City Actors’ Theatre (ACAT) acting troupe. The Opera House is a magnificent, luxurious, 1902 theater whose worth the community has recognized by recently investing in a 4.8 million dollar renovation and expansion. Its programming includes theater, music, and dance performances by local and touring artists and groups, making it the region’s preeminent performing arts venue. In addition to the 810-seat Main Stage, The Opera House also has a smaller accessory theater, the 60-seat Studio Theater, wherein ACAT presents a steady calendar of play performances. Just off Main Street is Common Street Arts - a fine art gallery and teaching studio featuring month long art exhibits and small music and dance performances. The gallery is generally open Wednesday through Saturday from 12-6 PM. CSA is also responsible for organizing many off-site art exhibitions and performances. Both CSA and Waterville Opera House face onto the charming, historic Castonguay Square. There are also numerous recurring events of note in Waterville that are not tied to a particular location. One is recurring PechaKucha nights. The location hops around, but they are always well-attended and engaging. Perhaps the most popular annual event is the Taste of Greater Waterville, hosted by the Mid-Maine Chamber of Commerce. During The Taste, all Main Street is blocked off to automobiles and becomes a giant multi-block party with entertainment and many local restaurants operating booths serving examples of the best of their menus. Assisting and advocating for the vibrancy of Waterville’s downtown, is Waterville Main Street. This organization has a listing of all the attractions mentioned above and more and a great calendar of events. If you’re in need of a good book or information, the beautiful, historic, and recently renovated Waterville Public Library is standing by to meet your needs. It also houses another art gallery where something interesting is always to be seen. A local historic site worth visiting (and strolling across) is the 1903 Two-Cent Bridge at the end of Temple Street - east off Main Street. It once served as a pedestrian route to work for workers at the Hollingsworth & Whitney Mill across the river into Winslow, charging a two cent toll to cross. (Don’t worry, the toll is no longer charged and you can save your two cents worth for another day.) Crossing the bridge takes you into Winslow, where the curving uphill walking trail will bring you to a lovely park on top of the hill with a gazebo and a sweeping view of the Waterville river valley. This trail, too, is part of the Kennebec-Messalonskee Trails network. Hopefully, this is ample inspiration to get you started discovering Waterville’s special charm.